Netflix Mitt Romney documentary trailer. 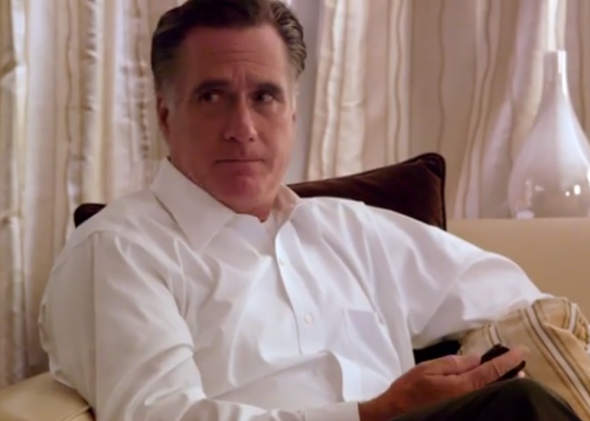 Netflix just debuted the trailer for Mitt, its documentary about Willard M. Romney’s failed White House bid. And while it doesn’t contain any revelatory information about the Romney campaign, the trailer does show a side of the ever-composed candidate the electorate rarely saw in 2012. We get a glimpse of the candidate his aides wish the public had gotten to see more—Romney ironing his suit, while he’s wearing it. Romney sleeping on the floor of a campaign bus. Romney cracking wise! “A recent poll said that 43 percent of Americans are not even sure who you are,” a newscaster intones on TV. “The flipping Mormon,” Romney drolly replies. The documentary comes out on Jan. 24. Seth Gordon, who worked on the film, also produced the excellent documentary Undefeated, which is about a hardscrabble high school football team from Memphis. What thread connects a millionaire Mormon who almost became president to a group of impoverished high school athletes? They want to win more than anyone else, and (spoiler alert) they don’t.